At Brooklyn High School’s Friday night game, one player hit a three-pointer in his first game. Any three-pointer is a cause for cheers, but this one is particularly special. The shot was thrown by Isaiah Upshaw, an 18-year-old junior with autism who also has speech difficulties. Isaiah tried out for the team last year, but he ended up being the team’s water boy, his mother, Iesha Upshaw, said. Isaiah and Matt practiced all year, and this year, the team “gave him a chance,” Iesha said. Isaiah played in his first game on Friday – and made two three-pointers, his mother said. Matt tweeted about the experience. “Everyone went crazy,” he told CBS News. Matt is a senior, and is graduating this year. 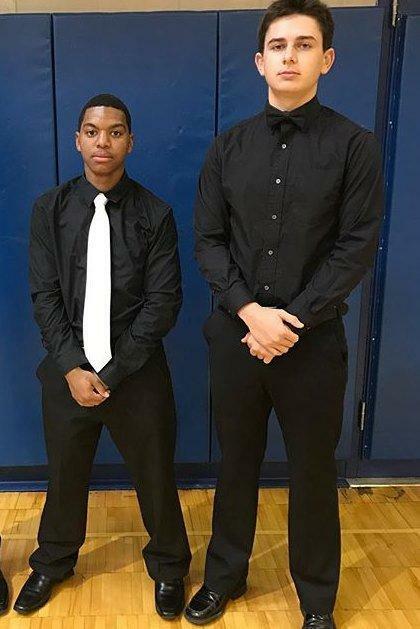 He has been friends with Isaiah for two years, and Iesha said that although Matt was chosen as homecoming king this year, he gave the crown to Isaiah.